Marcopolis presents the Tanzania Report focused on topics such as economy, investments and doing business, featuring interviews with Tanzania's leaders. The sectors under review in this issue are agriculture, banking, construction and real estate, energy, financial services, exports, industry, tourism, logistics and many more. Flightlink is a schedule airline with Air Operators Certificate (AOC) and Air Service License (ASL) granted by Tanzania Civil Aviation Authority and Kenya Civil Aviation Authority to conduct schedule and private charter flights under public transport category within the region. 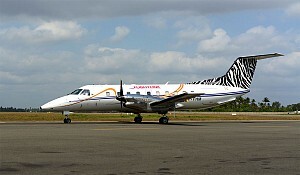 Flightlink operates out of Dar Es Salaam, Zanzibar and Arusha daily. How did you get into the aviation business? What drew you to this industry? Do have a family pedigree or was it simply a love of flying? It was a dream that came true. When I was young, I always wanted to be a pilot and pursue a career in aviation. I would get inspired when I would see an airplane flying. I came from a very humble family and my parents could not afford for me to pursue my career earlier, but I sponsored my training on my own and finally became a pilot. I also had a dream of owning my own airline one day. It was a very expensive dream, but we are here now and we still have a long way to go. Tanzania received a record 1.1 million international visitor arrivals last year. Most of those came from Europe, the US and Africa. It has jumped hugely, from just 582,000 in 2004. That is increasing at a rate of around 10 percent per annum. To what extent is this stellar growth the result of the Tanzanian government’s strategies and policies that have been introduced over the last 20 years to improve and develop the Tanzanian tourism product? Tanzania is slightly more expensive than South Africa, Zambia, or Zimbabwe. However, Tanzania has nature and many things that these other countries do not have. We have the best to offer. Tanzania is a strategic market for tourism. We offer both bush and beach. We have sites where you can see the beginning of the slave trade in Zanzibar. Tanzania has everything for tourists or for an educational visit. The influx of tourism that we have benefitted from after 2014 has been mainly due to the collapse of North Africa and the problems there. Recently, the Tanzania Tourist Board (TTB) and many operators have also been marketing in exhibitions, road shows, and working to create awareness of “Destination Tanzania.” We have recently come back from World Travel Market. We have a large number of forward bookings and people coming to Tanzania. Our safari scene and our beaches are very unique. You cannot compare Tanzania to any other safari country. Another unique offering is Tanzania’s exceptional climate. We have the heat and perfect beach weather for the beach goers, the cool climate for the safari, in the north we have a very decent climate. Our government is doing its best to promote tourism in Tanzania. Of course, the introduction of VAT has dented the oil now and has increased costs, but those monies are only a fractional cost of what the tourist is paying. Those monies will go into the development of the tourism through better roads, airstrips for airlines to fly into the Serengeti, and other types of infrastructure development. We are very happy to see that tourism is going up by five percent every year in Tanzania. By 2025 Tanzania’s tourism sector is expected to grow at a rate of 6.2 percent per annum. To draw a global comparison, this is against the expected world average growth of around 3.7 percent, according to the WTTC. Is the country’s capacity keeping pace with its projected growth? Capacity is our biggest problem. The government should support foreign investment into Tanzania because there are many companies from the US, Europe, and abroad that would like to come and invest in Tanzania in terms of building hotels and lodges. Operators would like to expand and be able to offer more seats. June through September of next year are already fully booked. There are times that we have no seats available on our airplanes, despite multiplying the capacity and flying double runs. It is a very big problem. We definitely need government support so that we can invite more foreign investors. In the last five years, there have been almost twenty new lodges and hotels built in Tanzania. We now have people from South Africa coming to see these lodges, such as Ramada, Hyatt and many other new properties. By 2025 we will try to bring those here as well. Tourism in Tanzania is currently increasing at a rate of around 10 percent per annum. Despite its surfeit of natural beauty, Tanzania still has many challenges in terms of infrastructure development in the tourist areas as well as the delivery of service that perhaps lags behind its competitors in those two key areas. In your view as a travel operator, does the quality of the experience here match the prices that the tourists pay in competing markets? Is it quite higher in Tanzania? Tanzania is a slightly more expensive destination, but it is also a luxury market. There is a lodge in Serengeti that was recently named the best lodge in the world. With luxury comes a higher price. Tanzania is slightly more expensive than South Africa, Zambia, or Zimbabwe. However, Tanzania has nature and many things that these other countries do not have. We have the best to offer. One point where we are lacking is the service level. The problem with Tanzania is that the government did not put infrastructure into training and so, we are lacking in training our personnel for the hotel business. What has the government been doing to promote investments into the sector? The Tanzanian people are wonderful and extremely hospitable and helpful. What is the government doing to develop the quality of the human resource and to professionalize them in a service delivery level? Education is very important. If the government wants to achieve the level where we aim to be in 2025, they must put effort into educating and into building colleges and universities to train our people. For example, there is a top hotelier college in Kenya from which 90 percent of the Kenyan hospitality business personnel are hired. Tanzania should aim to do the same. Training, education, and preparing recruits is very good for the industry and for the level of service we can provide. We know that Tanzania is expensive, but if we have the level of service to match the cost, then it is acceptable. In terms of the actual flight links, there are several carriers coming into Tanzania. However, there is a limited number of airlines linking Tanzania to the European and US markets. There is no direct flight to the main source market of travelers. It is quite a difficult place to get to. What more do you think the industry lobby groups like the Tanzania Tourist Board, the Tanzanian Airports Authority, and the Tanzania Civil Aviation Authority could do to tackle this and encourage more international airlines to fly directly to Tanzania? The new government is quite focused on bringing in international airlines. We are building a new airport in Dar es Salaam, Terminal 3, which is set to open in the second or third quarter of 2017. The airport that we have now was built by the French ten years ago and it is quite old. It is past ten years now for the capacity. The government needs to support these carriers by giving them cheaper landing fees, better slots, and guaranteeing security. Airline security is very important today. Tanzania is a very safe destination, now. Private jets from Israel touch down in Zanzibar today. Also, civil aviation is doing a wonderful job in facilitating foreign and local operators. Air Tanzania is now being rebuilt and reorganized. Their president has already received two new Dash Q400 turboprops. With the two Dash Q300 turboprops they previously owned, their fleet now comprises four aircrafts. They have also announced that they are bringing in two new jets from Canada. It is about time that Tanzania should have its own airline to fly directly into destinations such as Europe or the Middle East as a flight carrier. Julius Nyerere International Airport in Dar es Salaam. Dar es Salaam International Airport has been designed to attract and serve the bigger airlines. 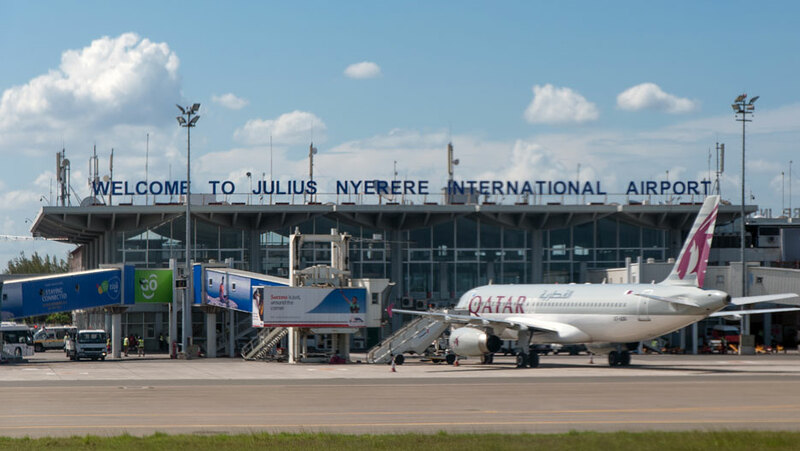 Zanzibar’s airport is also being upgraded and there are new airports in Mwanza in the north, Songwe and Mpanda in the south, and Mafia in Mafia Islands. How well served is the country now with these new facilities with basic aviation infrastructure? There is still a need. The local domestic airlines still have room to play. There is still room for new players because there are a number of destinations that are underserved, as well as certain destinations which are not served at all. Flightlink was always the first to explore and start flights into destinations that were not previously served. We were the first to start service to Mbeya, Iringa, lgoma, then other airlines followed. With the arrival of Fastjet service to Mbeya, we could not compete with them because we could not match the capacity with the kind of aircraft we operated there. These are beautiful and very good markets. Mbeya is the entry into Tanzania on the southern border. The new capital city and the government is moving to Dodoma. We fly to Dodoma daily and it will be busy. Mwanza is a very strategic market and a very good business market commercially. Songea is coming up and has many minerals coming from there and the south, and a lot of mining. Mafia is a beautiful tourist destination. All these markets are underserved. There is a gap and hopefully in a few years, we will be able to fill that gap. In the time you have been in this industry, have you seen palpable improvement in the physical infrastructure? We started business 11 years ago. We can see that the infrastructure is improving and new airports are being built. The Seronera Airstrip in Serengeti that we fly into daily has been repaired by TANAPA which is very good news for us because we need good airstrips. Out of 1.1 million passengers who come into Tanzania, 30 to 40 percent of those go to Serengeti. Most of them drive into Serengeti and then fly out. So, there is a huge crowd flying out of Serengeti on various airstrips. TANAPA is doing a good job by making sure those airstrips are well maintained and well looked after. The Tanzanian tourism strategy overall has been one of “low-volume, high-yield.” To what extent is the TTB now looking at other emerging markets, such as Brazil, Russia, China, India, UAE, South Africa as well as other countries in the African region? Traditionally, most of the tourism came from North America and Europe. However, there are new emerging markets now with the growing middle class. What is TTB doing to try to bring more of those people here? TTB does its best in promoting Tanzania in exhibitions that we just attended such as the WTM and ITB. The problem with TTB is that they have a low budget, currently only 1.8 million dollars. The Tanzanian government has other things to put money toward, such as education and medicare. As we continue, if the budget is available, Tanzania needs to be advertised. We are not advertised like Kenya is. Serengeti is actually two or three times bigger than Masai Mara, and the Selous is as big as the entire country of Belgium. The TTB has been trying its best, though. Over the past two years, we have had passengers coming all the way from Brazil, Chile, India, and other emerging markets. The very concept of going on safari has always been seen as a luxury. Obviously as they have the money to do it, many more people in the world will want to experience the same thing. The awareness and advertising aspects are very important. To facilitate this, operators and other hoteliers will always join hands with TTB and promote Tanzania as a destination. The middle class from these emerging markets like Brazil, India and China are now are spending money and they are travelling to Tanzania. 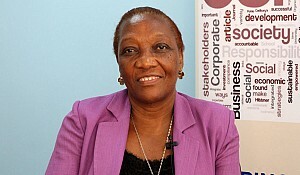 They are gaining awareness that Tanzania is different from South Africa, and that Tanzania can offer better products. South Africa is well advertised. 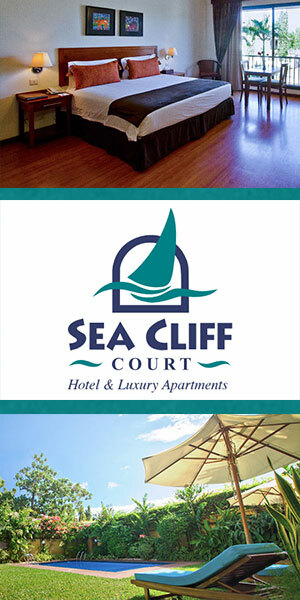 Of course, they have wonderful resorts and scenery. But passengers always tell me when we pick them up from Serengeti that Tanzania is wild. This country is untouched. When you go to Serengeti, you are exposed directly to the game. Tanzania is unbeatable for the safari experience. Serengeti National Park is a UNESCO World Heritage Site. 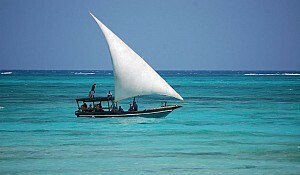 Tanzania also boasts an unbelievable coastline and warm oceans. Throughout the year, we have a climate between 30 and 35 degrees at the beaches and the water is warm. It is perfect. I have been to the Canary Islands in Spain and even if it is warm, the water is so cold you cannot swim. Recently, Zanzibar has even been named one of the top ten wedding destinations in the world. Are the domestic tourists and the seasoned tourists that come habitually back to Tanzania hungry for new destinations in the country’s relatively unexplored areas, such as Selous, Ruaha, Katavi along the coast, Lake Tanganyika, and Lake Nyasa? These unexplored areas are very good places to visit. There is much more to see apart from Serengeti. The west is truly the gem of Tanzania. Ruaha is very good for game and you can see all the big fives there. 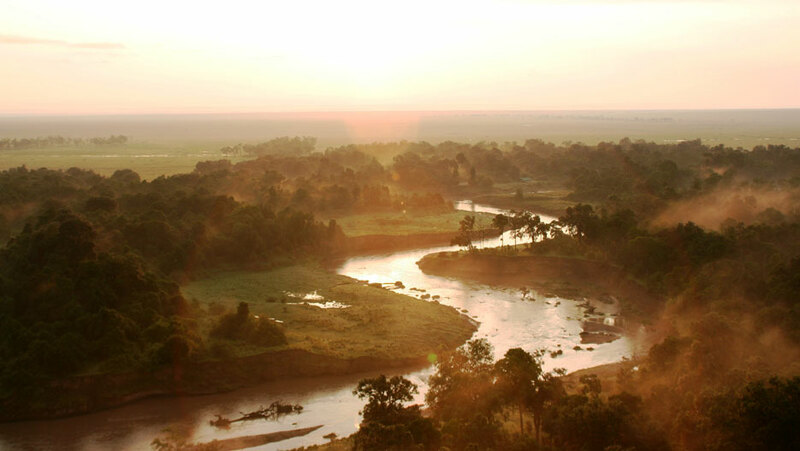 Selous is unexplored. Mafia is becoming popular, and recently, there have been sightings of whale sharks. The best game fishing in Africa can be found in Mafia in Kilwa. All of these are unexplored and unadvertised. What does your company offer for an investor? What are the competitive advantages you have? Why should an investor in aviation, airline, or tourism partner with you? 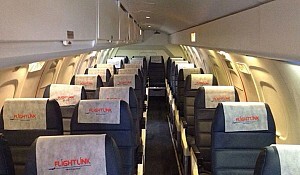 Flightlink started as a charter company in 2004 with one aircraft. Today, in 2016, we have eight airplanes. The brand Flightlink has definitely grown and continues to do so. In 2010, we embarked on flying scheduled flights. We started with Mbeya and Iringa as unexplored destinations. When I first started service to those areas, I was told that I was crazy by other operators. Today those destinations are booming. Flightlink has always been dynamic in what we are doing. Our safety records and levels are very good. We have young and good pilots. We only employ the best pilots with good training backgrounds. 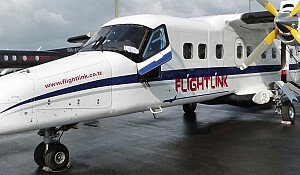 Flightlink is making good money which enables us to buy aircrafts every year. There is a huge demand for domestic flight presently. There is also very good demand for flying into other regions that are unserved. Because of our reliability and our brand, any investment that comes into Flightlink will be a good investment. As a company, we would like to have people investing in us so that we can expand gradually and at a good pace. We will continue to put all our effort into what we do. We specialize in tourist scheduled flying, and we will continue to do so well. With new partners, we can tap into other niche destinations that we are unable to at present because of our current capabilities. If we can obtain the right partners and finance and form a team, there will be a lot of work to be done. Markets like Mombasa and Mozambique are untapped markets from Tanzania. I have always wanted to connect to Victoria Falls from Serengeti. Victoria Falls to Zanzibar is my dream, but we need the right equipment, the right personnel and the right partners to do it. 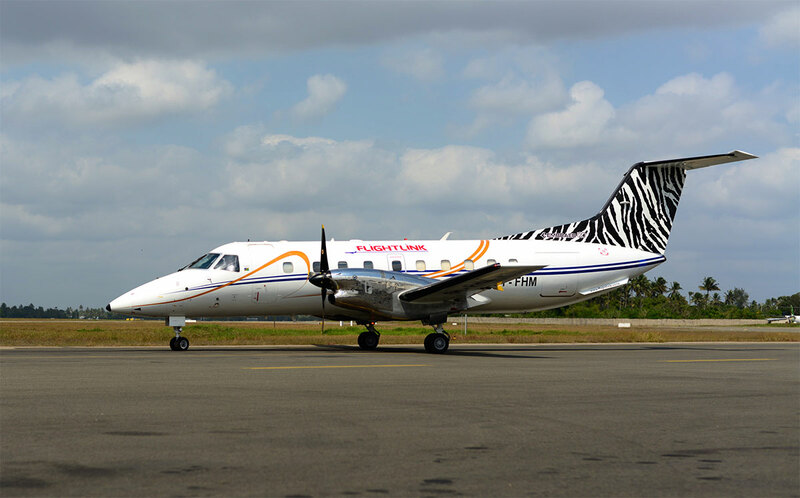 Flightlink is a schedule airline with Air Operators Certificate (AOC) and Air Service License (ASL) granted by Tanzania Civil Aviation Authority and Kenya Civil Aviation Authority to conduct schedule and private charter flights. What kind of partners do you require? Are you looking for financial investors or someone in the field of airline and aircraft? Our ambition is to grow. Partnership can come in different forms. It can come through equity partnership, equipment partnership, or joint ventures. The method does not matter, so long as we achieve our ambition. What are you doing to actively court investors and engage them and try to bring them into partnering with you? This year, we have not been looking for partners. Now, we are working more with the banks. Financing is a problem in Tanzania because most of the banks do not understand aircraft finance. The aviation market is quite small here compared to South Africa. There is not much know-how. 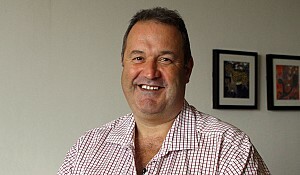 Flightlink should look for partners or joint ventures to compensate for the limitations of our banks. Because of the collapse of one or two airlines in the past, it is assumed that there is a very high risk. But aviation is a very good, high-yield business. You are already in some niche areas, and you are also involved with medical transportation and running VIP flights. Is there any other niche you want to explore that would yield a high return for an investor? What sort of returns can investors count on? There is a need for more charter flights here. Tanzania has many NGO’s and foreign development personnel that require the ability to travel from region to region. We do not have enough airplanes to accommodate them. If we have enough equipment, we can tap into those markets. Tanzania is a vast country. Going from Dar es Salaam to Kigoma with a turboprop aircraft is a minimum three and a half hour long flight. Any charter operator today in the world will agree that this is a high-yield, very profitable business. If you are able to bring investors here to invest in the company in whatever form, what do you expect to achieve in the medium term of three years’ time? What is your expectation in terms of what you will have reached in number of planes, number of passengers, and the return for investors? The current rate of return of any investment into aviation in Tanzania with Flightlink is very good. The biggest investment we have met is 1.5 million dollars from the bank, with a rate of return of five years. In five years, you can double your money. Tanzania is still developing, so there is room for improvement. In five years’ time, Tanzania will be a different country. Next year, the country will be starting gas exploration in the south. The government is very busy now putting the documentation together. In 2017 they will start to issue licenses. Once we have gas, things will change. There will be more people coming in, more people will need to travel internationally and locally, and there will be a lot of movement of people in general. In five to ten years, this country will be very advanced. We are extremely optimistic in investing in Tanzania.